(VizzTone) 11 Tracks - Ecopack - Long Tall Deb and Colin John continue their genre-spanning and refreshingly original sound with their new album DRAGONFLY. Following the themes of their 2015 VizzTone EP STREETS MUMBAI, DRAGONFLY combines a foundation of blues and soul sensitivity with rock'n'roll, surf, spaghetti western, noir jazz, pop, Americana and world roots influences from their travels throughout America, Europe, India and Nepal. 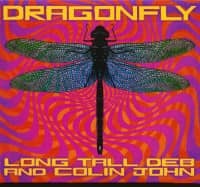 The songs are all original compositions in which Long Tall Deb's typical soulful singing, partly in duet with her multitalented partner Colin John, comes into its own. 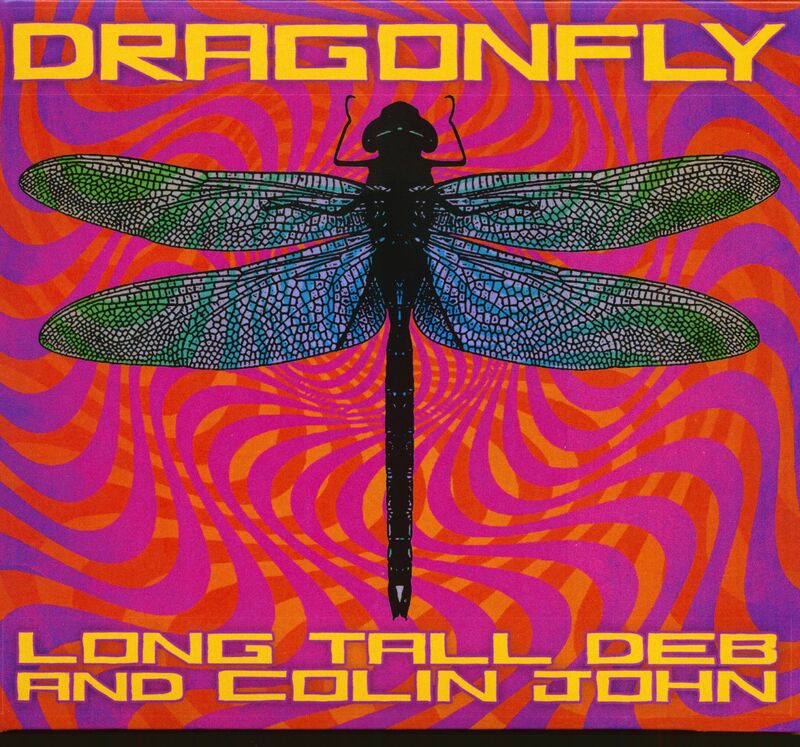 Colin John recorded almost all available guitar types for this album, including acoustic guitar, electric guitar, baritone guitar, baby sitar, lap steel, bass and even a piano track. Together with a powerful band of top musicians and guests like Michael Hill, Jeff Jensen, Mick Kolassa, James Cunningham, Bill Ruffino, Chris Stephenson, Claudia Hernandez, Cliff Starbuck and Melvin Powe (bass), Jimmy Castoe and Jo El (drums), the producer Michael Landolt (Coldplay, O. A.R) at the top, an absolutely trend-setting plate was created. 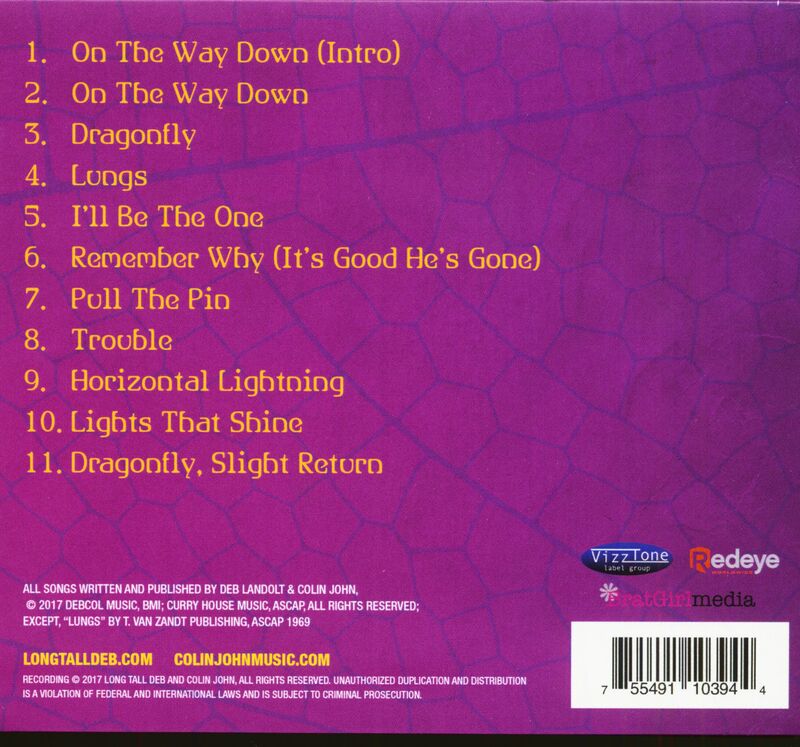 Customer evaluation for "Dragonfly (CD)"
I love this CD--I listen to it at work--very exciting and calming too!